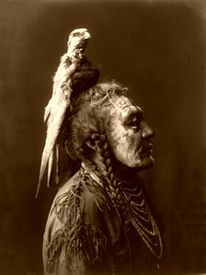 The Absaraka, or Crow Nation, have the reputation of being good friends to the whites, and it is also said they have never warred with them. 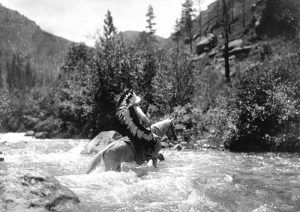 In the journey through that most delightful region of Montana from Fort Phil Kearney, Wyoming to Fort C. F. Smith (in the Powder River country), one of the most favored camping-grounds is the one called “Crazy Woman’s Fork,” the name of a pretty little stream of water that rises in the Big Horn Mountains, and empties into the Little Horn River. About three miles from the mountains, this stream crosses the trail between the two military posts. 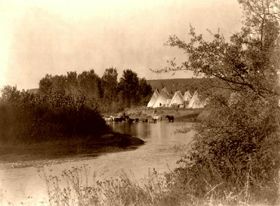 This camp on the Fork is noted for its danger from Indian attacks, as an abundant supply of game being found in the valley, brings the Indian there to replenish his larder of wild meat. Notwithstanding the dangers attending a journey through this region, it has its attractions in the beautiful and diversified views of lovely scenery, which hasten the parties traveling that region to encamp, for a night at least, on the banks of a limpid stream that refreshes man and beast from an unfailing source in the mountains. The banks are skirted with cottonwood-trees, and to the west, one sees the tall spurs of the Rocky Mountains rising up, as it were, from your feet, their dizzy heights covered with snow; while the haze that surrounds them gives to them a halo of glory and weird-like appearance, that the imaginative might compare to the garments that mantle the spirits of the blessed in Paradise! Iron Bull said that about two hundred years ago, when the moon shone brighter, and there were more stars, his nation was a great people, and they roamed over all that country from the Missouri River to the west of the Yellowstone River, and no dog of a Sioux dare show himself there. But the people had been wicked, and the Great Spirit had darkened the heavens and made the sun to shine with such heat that the streams were dried up, and the snow disappeared from the highest peaks of the mountains. The buffalo, the elk, the mountain sheep, the deer, and the rabbit, all disappeared and died away, bringing a great famine upon his tribe, and the spirit of the air breathed death into the lodges, so that the warrior saw his wife and papooses die for want of the food he could not find on all the plain, or on the mountain-sides; so that the whole nation grieved and mourned in sorrow of heart. Still, they kept up their wars with the Sioux and fought many a bloody battle with them when they suffered most, and the game had entirely disappeared. 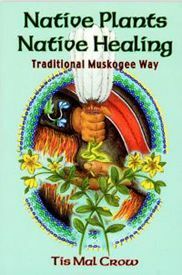 Their great medicine-man called a council, and when the head-men had assembled, he told them of a wonderful dream that he had had, when he was bidden by the Great Spirit to gather the chiefs of the tribe at the fork of the stream where they lived. Their ponies had all been eaten for food, so the proud Indians were compelled to make the journey on foot to the place of meeting. But when they had arrived at the bluffs, on the edge of the valley, they were surprised to see a bountiful supper spread on the bank of the stream, close by the Forks, and a white woman close by, standing up and making signs to them to descend from the bluffs. Having never before seen a “white woman,” they were greatly astonished. The medicine-man descended to the valley. The white woman told him that the Great Spirit would talk to the council through her. She told him that the wars of the tribe were displeasing to the Great Spirit, and they must make peace with the Sioux nation. When that was done, the great chief, “The-Bear-that-grabs,” must return to her. They sent out runners to the Sioux, and peace was declared between the tribes for the first time in 100 years. 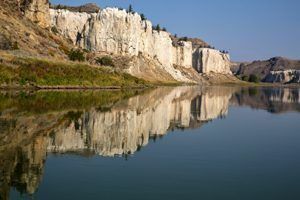 She then told the great chief to follow the mountain in a westerly course, until he came to the Big Horn River, and where the rock was perpendicular, he was to shoot three arrows, hitting the rock each time. The chief departed on his mission, and as he gained the bluffs from the stream, he looked back at the white woman, but what was his surprise when he saw her rising in the air and floating towards the mountains! He watched her until she disappeared over the highest peak towards the sky. The chief pursued his journey, and, arriving at the place told him by the white woman, he discharged his arrows. The first one struck in rock. The second flew over the mountain. The third was discharged, and a terrible noise followed: the heavens were aglow with lightning; the thunder shook the mountains. The earth trembled, and the rocks were rent asunder, and out of the fissure, countless herds of buffalo came, filling the valleys and the hills. The hearts of the Indians were glad, and they ate and were merry, and returned thanks to the Great Spirit and to the good white woman. The great fissure in the rocks is the canyon of the Big Horn River. In other words, because they are peaceable, we need not, as with others, to buy them off with presents. And they say we have taken some of their lands and given them to the Sioux, who were fighting and destroying the whites as often as they could. By Edmund B. Tuttle, 1873. Compiled and edited by Kathy Weiser/Legends of America, updated October 2018. Author and Notes: The Legend Of Crazy Woman’s Fork was written by Edmund B. Tuttle in 1873. It was included in his book, Three Years on the Plains: Observations of Indians, 1867-1870. Tuttle was the post chaplain at Fort D. A. Russell in Wyoming Territory and as such, was an eyewitness to the evolving relationship between the U.S. military and the American Indians, particularly the Sioux and the Cheyenne. In 1873, Tuttle wrote about the events he had observed, both historic and commonplace, during his time at the fort.